IMI is the only Professional Body that represents the individual working in the retail automotive industry. We are transforming the automotive industry by setting, upholding and promoting professional standards, driving upskilling, establishing clearer career paths, and boosting public confidence. Our future is exciting – be part of it! Did you know there are over 150 job roles in the Retail Automotive sector, ranging from technical to non-technical roles, marketing, finance, customer service and sales? 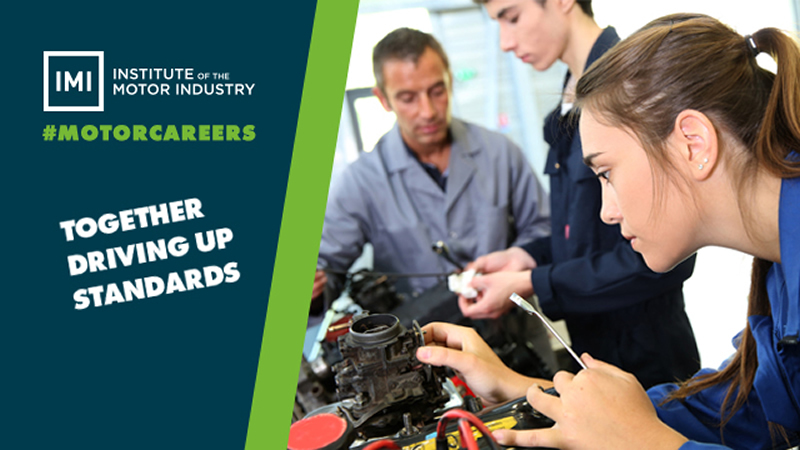 IMI Autocity will help you to choose the best role for you with information on all the jobs available, and help you plan your progression within the industry. Join us in this exciting, diverse and fast-paced sector and find your #MotorCareers today! Inspiring and supporting your learners to make well informed decisions about their future and assisting you to embed Careers Education.